Swirled glass in champagne color with bronze finish for a luxurious look. 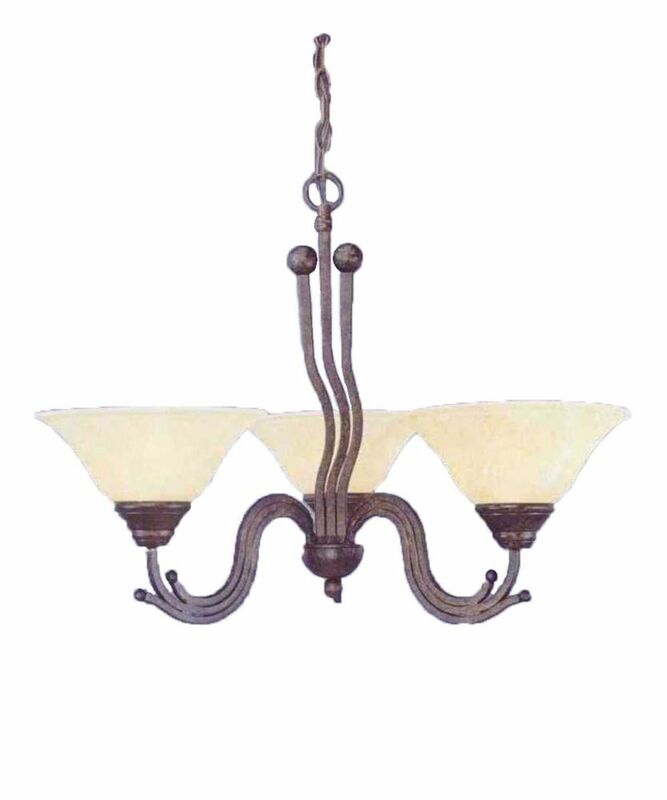 Fixture includes hardware, installation instructions and 6 foot chain for hanging adjustments. Fixture attaches to matching decorative ceiling plate and is suitable for vaulted ceilings.